To contact the Alumni Association please send an email to njdemolayalumni@gmail.com! 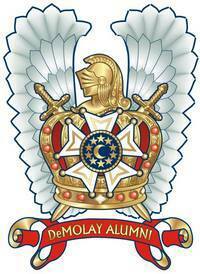 The New Jersey DeMolay Alumni Association is an organization which functions to provide the DeMolay community of New Jersey with entertainment, education, and networking opportunities, all while supporting the organization which brought us together, DeMolay! All functions of the Alumni Association are meant to further the purpose and mission of DeMolay while providing enjoyment for our adult volunteers and alumni community. Our mission is to aid NJ DeMolay by raising funds, offering mentorship opportunities and curating events which promote NJ DeMolay.